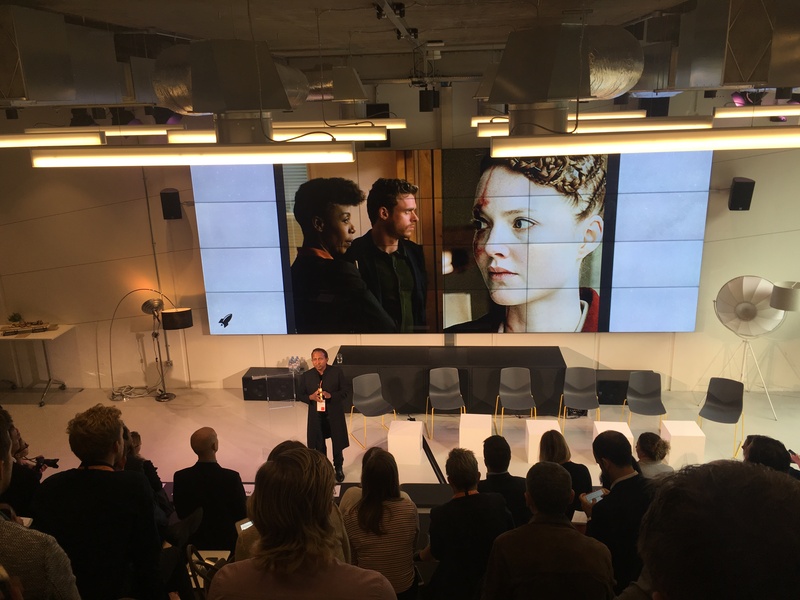 “Growth through disruption, not death by disruption,” said Lee Daley, one of RocketSpace’s key strategic advisors during the opening remarks at our first London Innovation Summit. 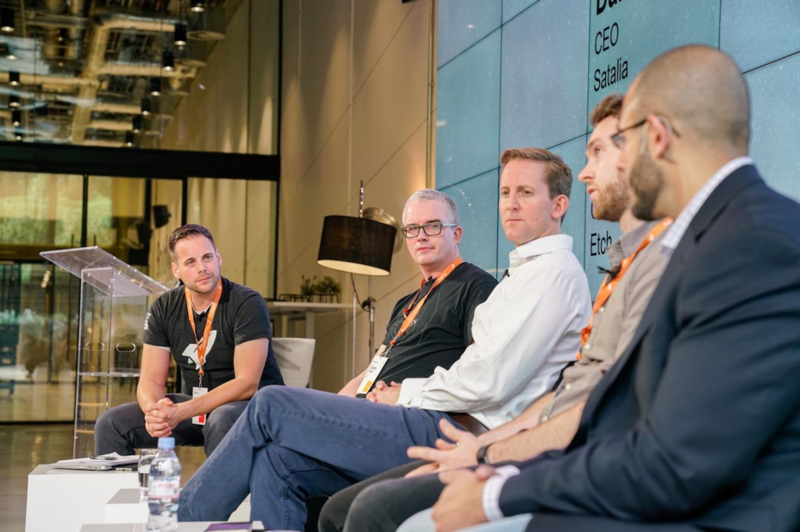 The two day event, taking place at the new RocketSpace tech campus in London’s Angel, brought teams from large companies and startups together to explore the worlds of artificial intelligence and blockchain. These relatively new fields have been disrupting everything from the banking industry, insurance, procurement, medicine and retailing. If keynote speaker David Siegel’s predictions about blockchain are right, the list of disrupted industries is about to get a whole lot longer (more on that later). On the ground at the event, Journalist Matt Hussey provides his insights from the Summit. “Almost everyone had heard of AI and Blockchain, but many struggled with the idea of just how these two industries were going to improve the provision of services they already provided to customers and how these new technologies were going to upend and disrupt the very companies they work for,” said Hussey. So How Can Companies Look Ahead? 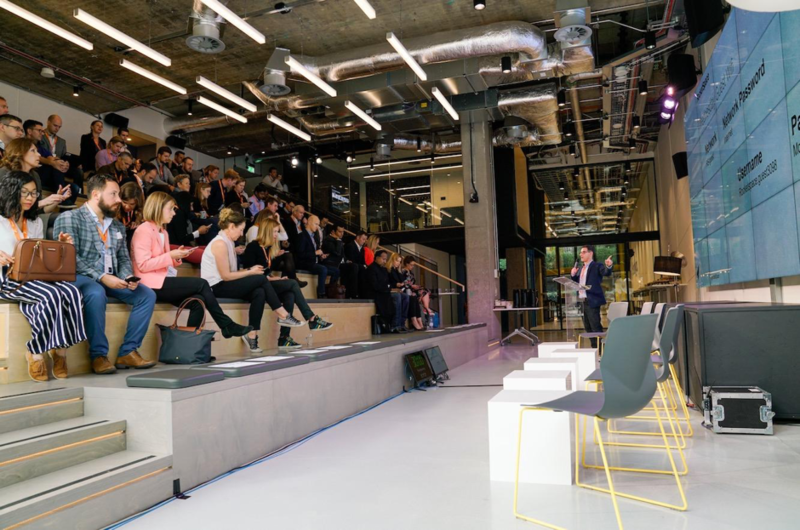 Here is a recap of the top highlights from the RocketSpace Innovation Summit in London on this exact topic. Dr. Suran Goonatilake, a visiting professor at the department for computer science at UCL in London and an expert in ‘deep tech’, a type of machine learning first challenges how companies can look ahead. Goonatilake, along with others from the computer science faculty at UCL have been using machine learning techniques to create products that have helped make stock market analysis easier and more intelligent as well as AR powered body-scanning software to help people find clothes perfect for them. One of the fascinating ideas Goonatilake explored in his talk was around busting the myth that you can only connect the dots of your business’ success or failures by looking backwards. On the contrary, says Goonatilake, knowing how to look at the world now let’s you join the dots going forward. He provided a compelling case study about the rise of the autonomous car. While companies like Uber and Tesla, the new kids on the block, have been trailblazing in the autonomous car market, seemingly out of nowhere, history tells a different story. In 1991, robotics researcher Chuck Thorpe wrote an academic paper exploring autonomous driving. In 1995, the “No Hands Across America” experiment saw a car called RALPH (Rapidly Adapting Lateral Position Handler), drive autonomously from Washington DC to San Diego in California. Fast forward to 10 years later DARPA (Defense Advanced Research Projects Agency) created a competition for driverless cars where all but one of the 23 entrants surpassed the achievements of teams in the same race held a year previously. In 2009, Google announced Waymo, a sub-division of Google (later Alphabet) that was exploring self-driving cars as a potential entrance into the car manufacturing business. Skip a few years forward again and you now have decades worth of information about how autonomous driving was rapidly approaching a point where it was going to radicalise change how we build and drive automobiles. “Tracking multiple things can give you magic powers to see into the future,” he concluded. David Siegel provided a thought-provoking hour-long talk on how blockchain and decentralised businesses are going to change everything we know and understand about doing business today. David has started 22 companies in his lifetime. The most recent is 20|30, a group of volunteers actively trying to conceptualise what a future in which all information is decentralised might look like. “We’ve reached peak blue collar workers. We’re about to reach peak white collars for all of human history,” said Siegel. The cryptocurrency pioneer offered up a radical vision of the future in which the blockchain would shift a company’s value away from the power of its brand towards its utility. “Marketing is no longer going to make a brand sticky,” he said. What is the single source of truth on the blockchain? How do you avoid corruption? How will quantum computing impact the security of the blockchain? How does blockchain safeguard against power residing in the hands of ever fewer people? How can we remove bias from AI and the dangers of creating unregulated markets, like Blockchain? A case study explored in-depth by Richard Crook was the story of how $50 million of Ethereum’s experimental new currency was stolen and the issues still surrounding security and regulation in the space. How can Blockchain and AI be used across industries? What are potential use cases? Two startups presented during the Summit to showcase how these applications have a wide range of use for the marketplace. BenevolentAI, who recently raised £109.5 million, uses AI to mine and analyse biomedical information. In its research on motor neurone disease they discovered five new compounds, of which two thirds worked just as well in testing as current interventions and one molecule outperformed anything currently in the marketplace. Etch, a company re-imagining the payments system using blockchain, discussed a fascinating concept they called programmable money. A concept whereby money could be allotted to serve a certain purpose. One example Etch CEO Euros Evans gave was the movement of money overseas to families across the world. In Evans’ example, money could be pre-programmed so that it can be transferred into the bank account of a loved one overseas without involving a bank or incurring any charges. 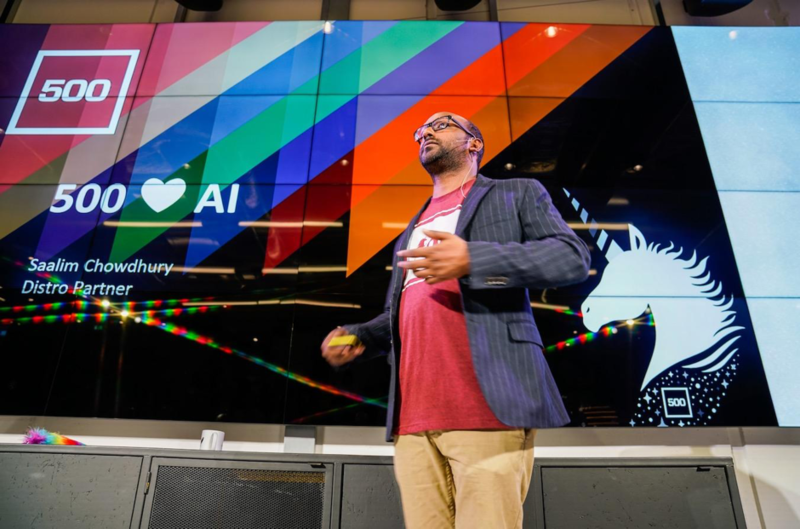 In addition, Saalim Chowdhury, a venture capitalist investor for 500 Startups, helped dispel the difference between AI, machine learning and neuro-linguistic programming while using images of pancakes and unicorns to keep audiences entertained. How is “digital poverty” creating problems in the corporate and startup community? 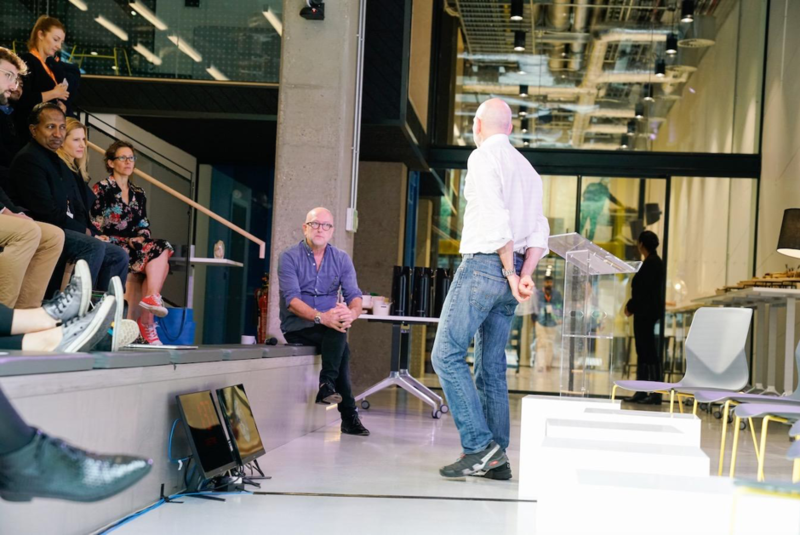 Liam Maxwell, national technology adviser for the British government, opened the floor to the audience to unearth problems in the corporate and startup community. Digital poverty - areas with poor or no internet connectivity - and visas were two hot issues audiences were keen to pass on to Maxwell. With new technology, how is our identity affected? 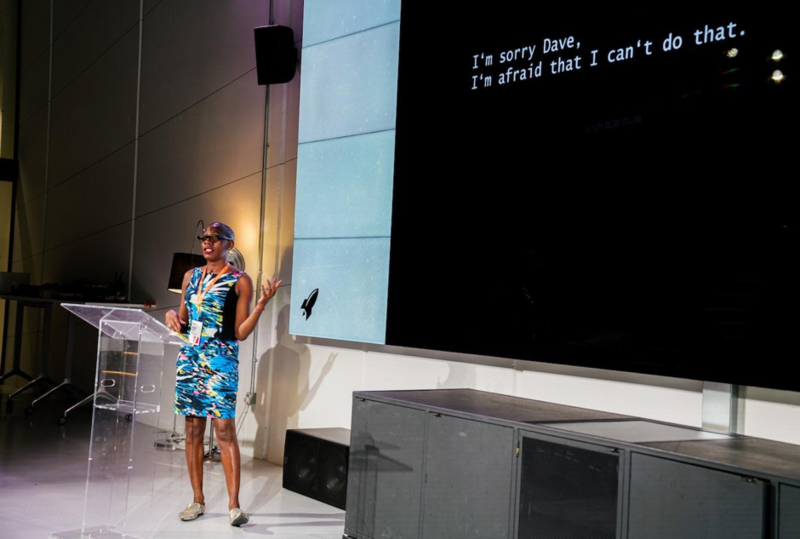 Adah Parris, a futurist, explored the idea of how technology affected identity in different ways, touching upon gender, race, politics and even economics in a fascinating and thought provoking speech that challenged the audience to understand what their bias was towards the way they run their businesses. How is the pace of technological changes created unexpected consequences? 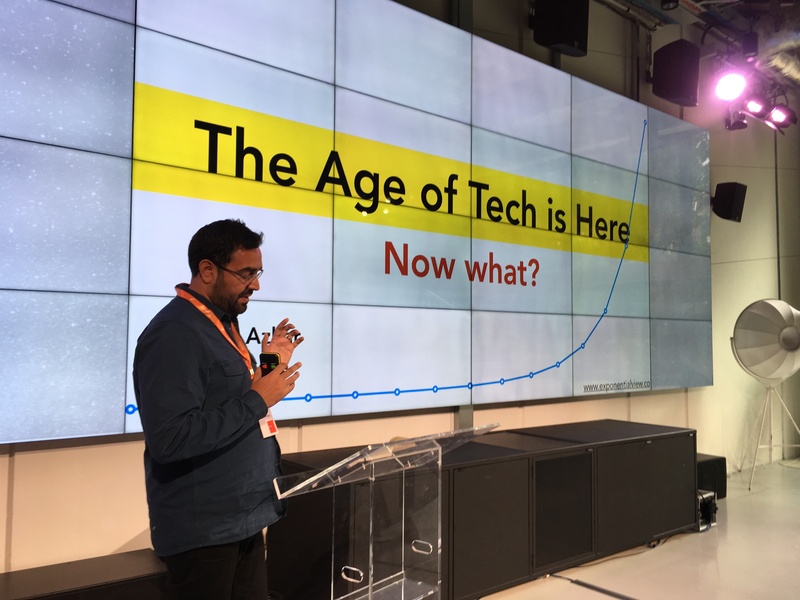 Azeem Azhar, the creator The Exponential View, took us on a whirlwind tour of how technological change is happening at a pace that few, if any could have predicted. He also touched on an oft-overlooked part of change, the unexpected consequences that come with the introduction of a new product or ecosystem. In Azhar’s case, he talked about how the chewing industry went into decline after the introduction of the iPhone. Why? Because, Azhar explained, people were too busy staring at their phones to see gum at concessions stands. How can AI create positive impact across industries? AI is changing the world, says Danny Lopez, COO of Blippar, one of London's famed "unicorns" who was up next. "AI is not just the next frontier tech -- it's already impacting the future with impact in marketing, healthcare, education, entertainment, and more." 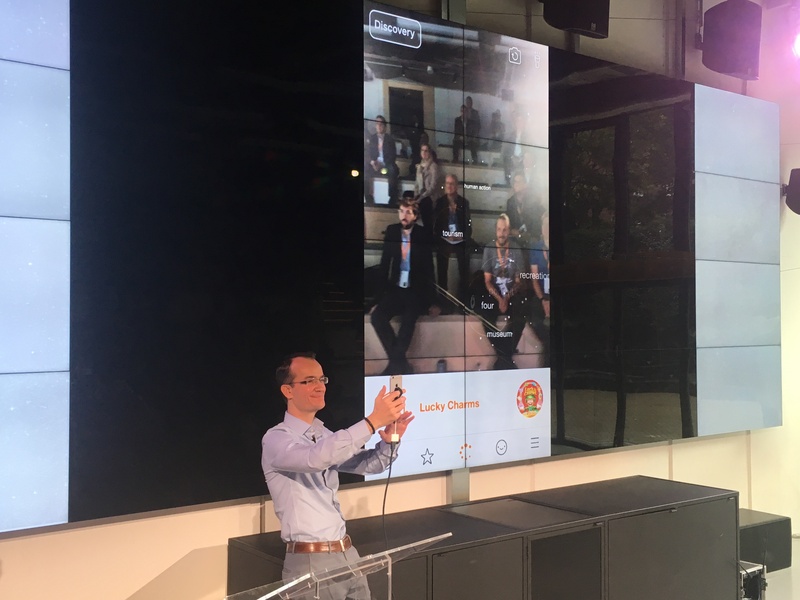 Lopez proceeded to place attendees into the Blippar lens which quickly began to analyze and identify us. How can startups and corporates work better together? 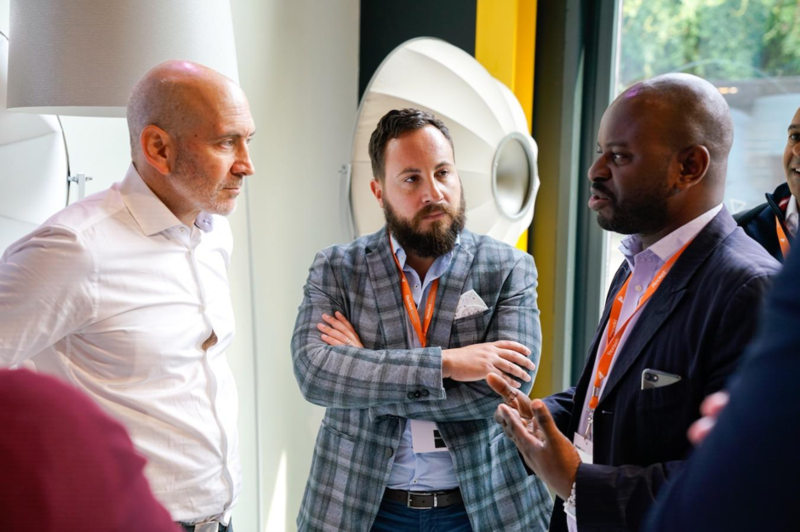 Heading into the final half of the summit, a workshop brought together corporates and startups into groups who were challenged with trying to understand the positives and also pitfalls about each other’s preconceptions about working with each other. 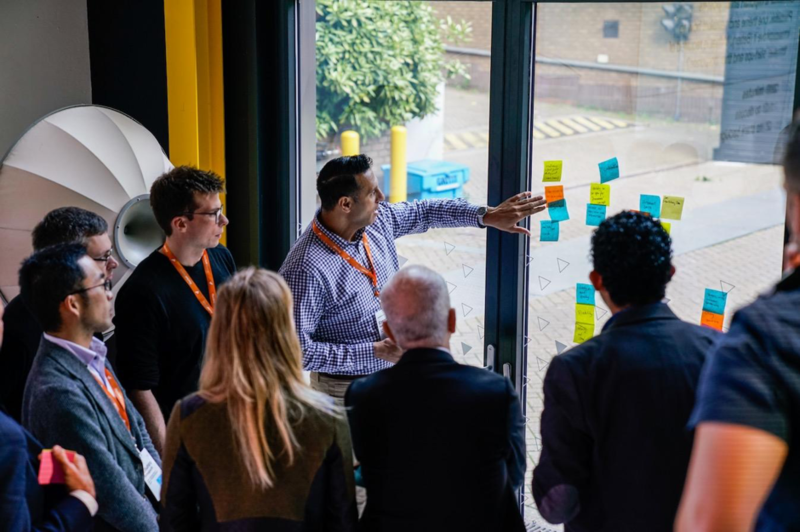 Ideas around cost, timing, who to talk to in big companies about small projects, and expectations from both sides were thrashed out in an exercise that left everyone with a deeper understanding of how lack of communication is often the simplest way for partnerships to collapse. Are you solving the right problems and effectively communicating it to your customers? Rounding off the thought-provoking two days was a fireside chat with Benedict Evans a partner at Andreessen Horowitz who challenged the audience to think more clearly about what challenges their company are solving and how to convey that message to the right people, in the right place at the right time. 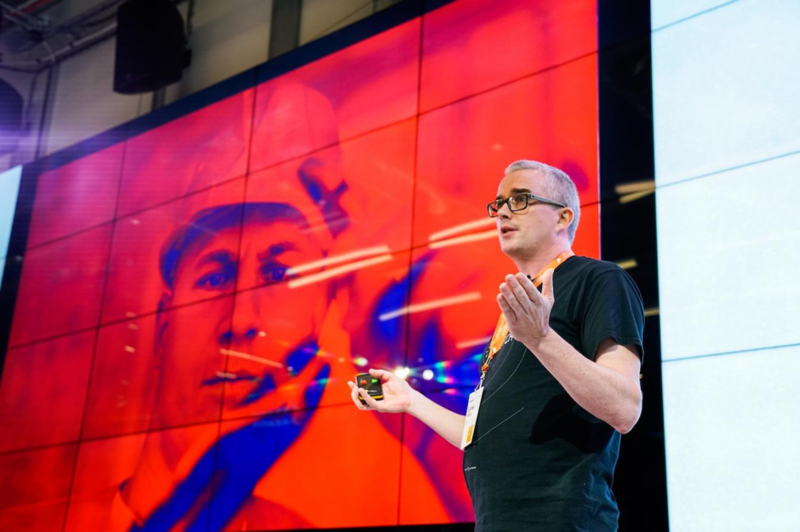 When queried on what he looked for when it came to investing he replied quite simply, “you just know”, before going on to explain the quality of the idea and the team are what shine the brightest, not pitch decks or marketing budgets. As the event drew to a close, conversations continued long into the evening of canapes and cocktails, as London’s technology community mulled over the changes looming on the horizon. 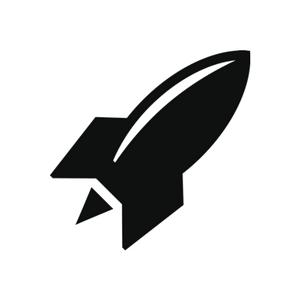 Want to learn more about the RocketSpace Innovation Summits? Contact us to learn more! Enjoying the recap of the Summit? 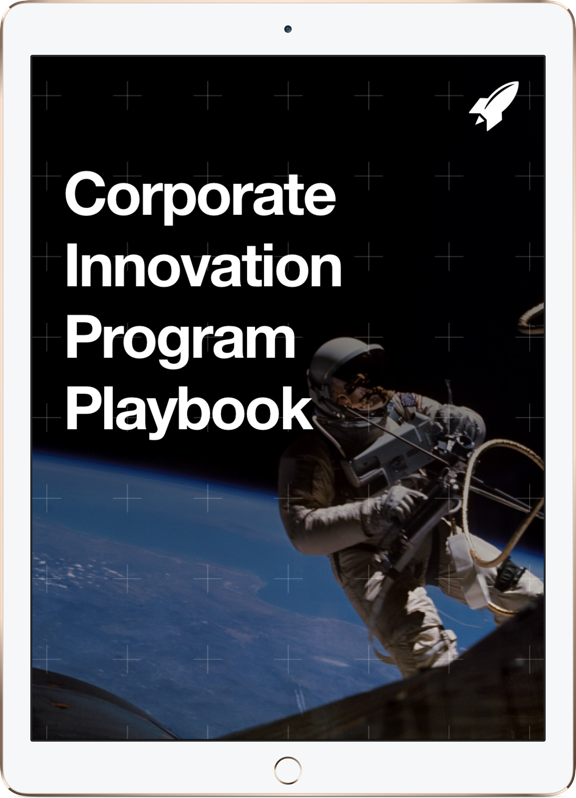 Subscribe to RocketSpace’s Corporate Innovation Blog. Get new ideas and actionable advice delivered to your inbox each week.